In this context, you’ll take a look at five remarkable living room designs that amazingly reveal the currents trends and modern designs. These living rooms designs are eye-catching and perfectly stunning designed by our expert Interior Designers. 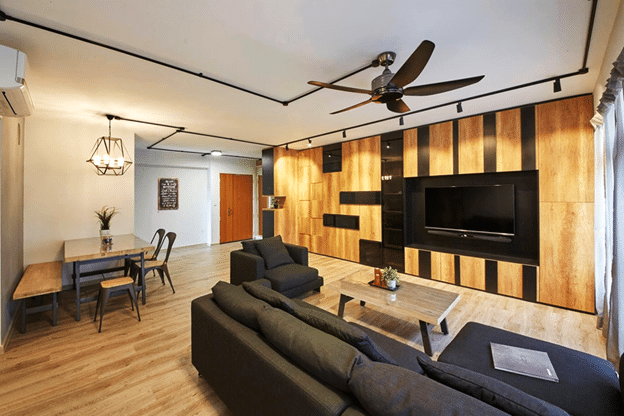 This living room designed by Hue Concept Interior Design charmingly displayed the modern designs with exciting wood accents. 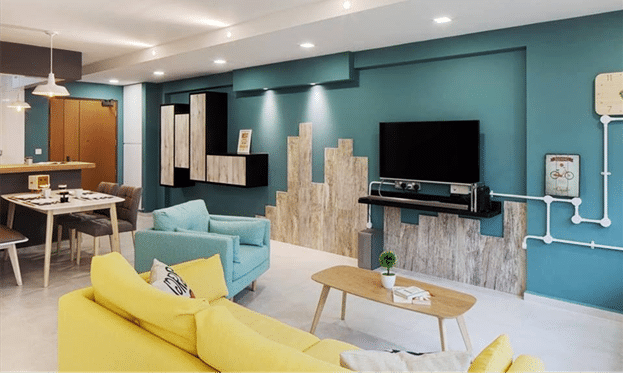 The wood flooring and wood textured feature wall add a contemporary charm to this place with stunning and stylish sofa design. The trendy small dining table with smart chairs and rug adds a chic and fashionable feature to this living room. 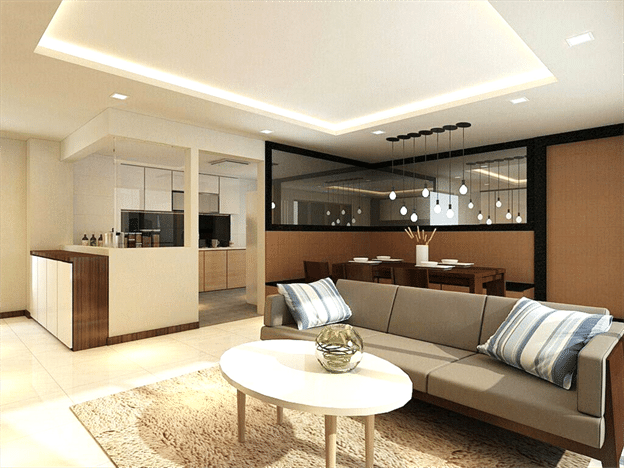 Consider this neutral color theme living room designed by Rezt n Relax for your home. This minimally decorated room looks perfect with pleasant gray sofa and lovely white open kitchen design. The wooden small dining table with luminous lighting adds a bright sparkle to the entire room. Incorporate your home with stunning wooden features and interesting TV consoles. The attractive and trendy black and white rug adds a unique color to this neutral color themed room with eye-catching feature wall. 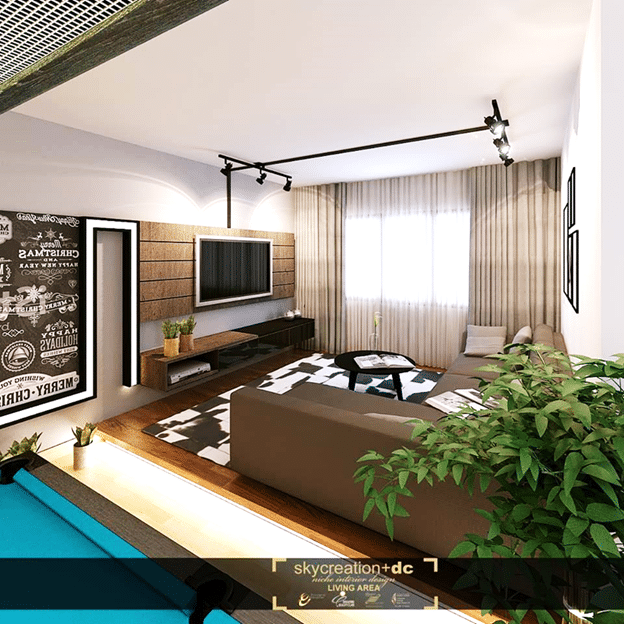 Consider this trendy and modern room for your home designed by Sky Creation. The striking wood style TV-Unit really give this room an attractive focal point with charming and casual L-shaped sofa. The small dining area at the corner with stylish pendant light adds a pleasant appeal to this room designed by Unity Interior Design. The beautiful trendy colors make this living room unique and stylish. The blue and yellow sofa with wood accents add a bright and modern elements to this living room.